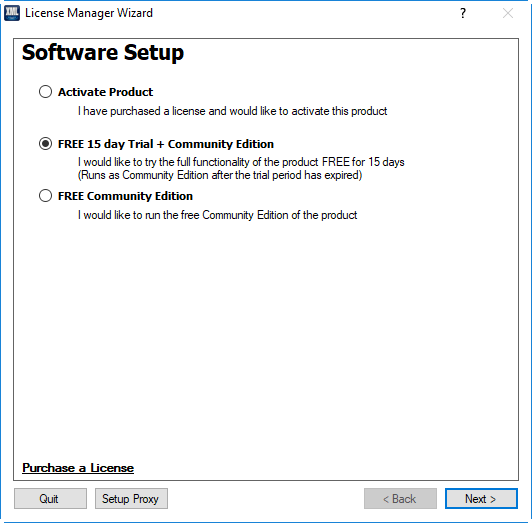 In order to activate the application you have purchased, you must install the product and run it. When the application starts up you should see the Software Setup window. Select the 'Activate Product' Option and press 'Next >'. 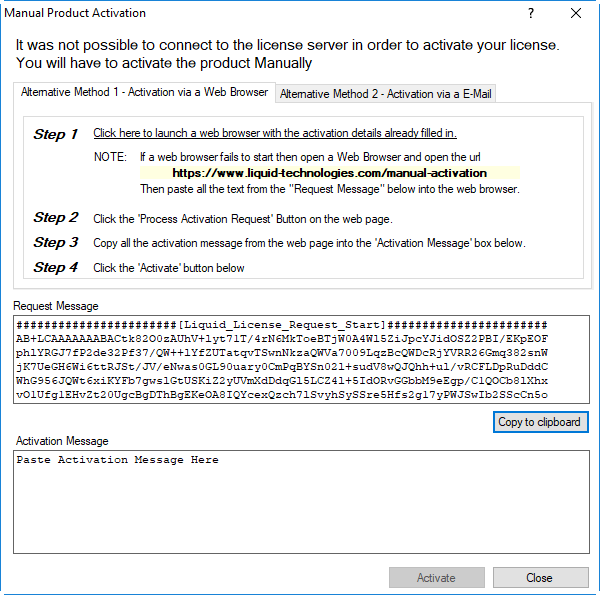 The details on the activation page should be completed before pressing the 'Activate' Button. Be sure to check the License Key is correct. If you have a connection to the internet, then the request will be made automatically, and your product will be activated. 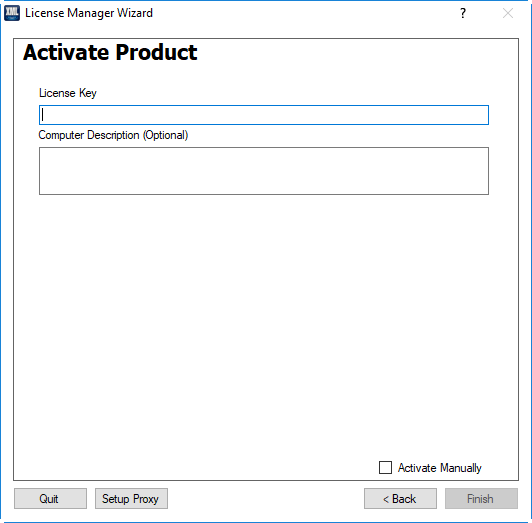 If there was a problem connecting to the internet then the following manual activation window will appear. Please follow the Manual Activation Instructions.